The International Monetary Fund is warning escalating trade conflicts threaten to curb the world's economic recovery, saying U.S. exports are especially vulnerable in the face of retaliatory tariffs other nations are imposing on them in response to President Donald Trump's new levies on foreign imports. Trump has imposed higher tariffs on steel and aluminum imports from Europe, Canada and Mexico and on an array of products from China, in all instances drawing protests from other world leaders about his actions, along with higher retaliatory levies on U.S. exports. 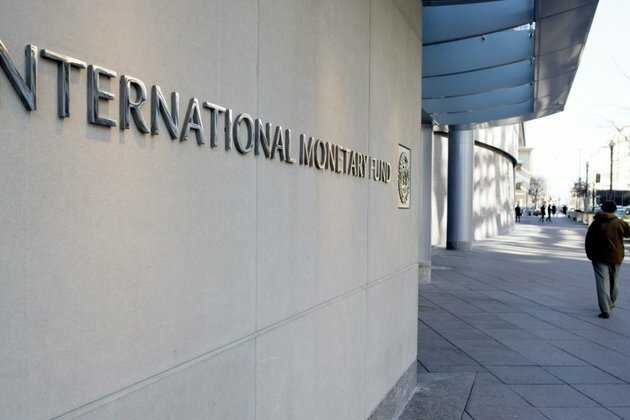 In addition to the growing trade disputes, the IMF concluded that other risks 'have become more prominent' since its last assessment in April. 'Political uncertainty has risen in Europe, where the European Union faces fundamental political challenges regarding migration policy, fiscal governance, norms concerning the rule of law, and the euro area institutional architecture,' the IMF said. Despite the back-and-forth tariff increases the United States and China have imposed on each other, the IMF left as unchanged its growth projections for both countries. It pegged the U.S. advance at 2.9 percent this year and 2.7 percent in 2019, with China at 6.6 percent this year and 6.4 percent next year. But the IMF trimmed its outlook for the 19 European countries that use the euro currency, Japan, and Britain. The agency's report projected 2.2 percent growth in the eurozone this year, Britain at 1.4 percent and Japan at one percent, with all three figures down two-tenths of a percentage point. The IMF also cut its forecast for Brazil by a half percentage point to 1.8 percent and India by a tenth of a point to 7.5 percent.